Naturally Glam Yhanni is a Stand for Creative Moms Everywhere! 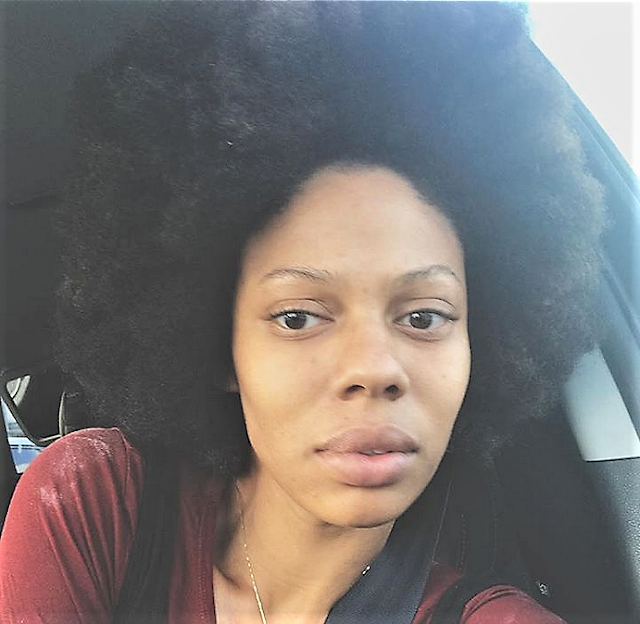 Yhanni Jamila Brown, founder of Mama Makers Collective, a movement of mother creators, has embraced the lush glory of her natural mane all her life, rocking it all from super long locs to a super low Caesar. 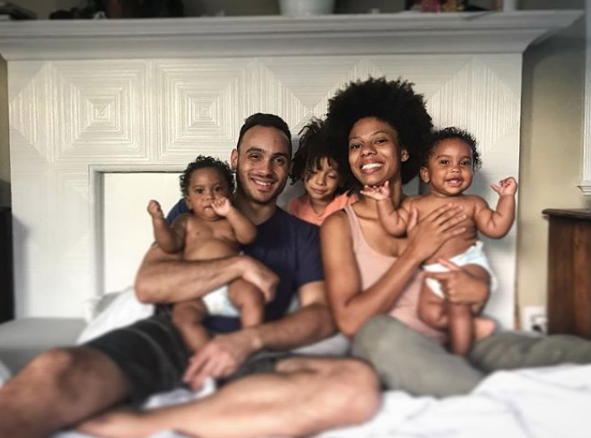 These days she keeps it simple with her thriving tribe of five: husband, Bobby and their adorable children, the agile, kinetic Judah and the lionesses, twins Nāli and Echo, who just turned 1 years old. Happy Birthday! The cuteness quotient in their LA household is high. 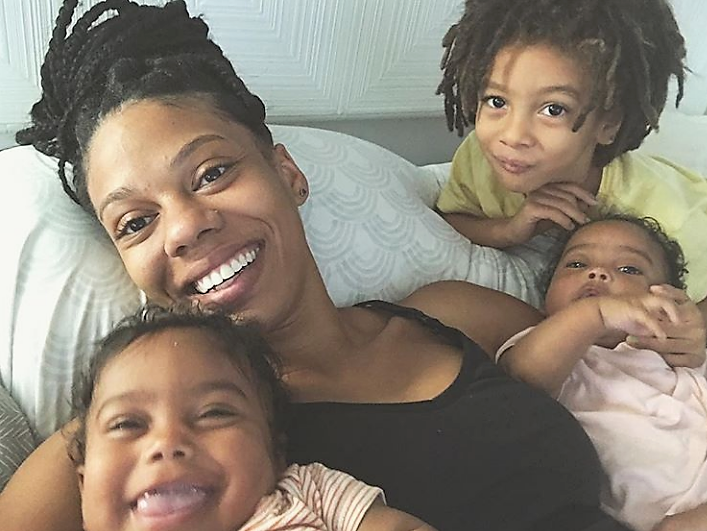 With easy laughter that moves from deep belly to a quirky cackle, Yhanni shares her hair journey, her beautiful story of motherhood and her advocacy for creative, entrepreneurial moms. You were a loc-wearing, head-turning little girl in 1990’s Brooklyn, now you’re still turning heads as a mom in Los Angeles. My five-year-old has locs, and he told me not to cut his hair; he wants it to do what it does. And we haven’t cut it. So now HE is that little head-turning kid who’s booking jobs in modeling. He says “it’s my body; it’s my choice.” (laughs) These little woke children. 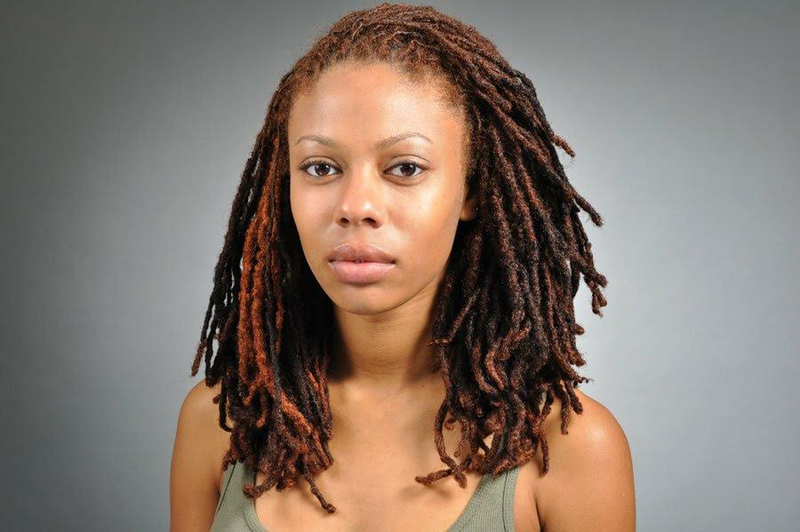 After 20 years, why did you give up your locs? I felt so strongly that I wanted to release the energy that was caught in my hair and make way for the new–make way for Judah. When he was about a month or two old, I sat up all night and combed them out. 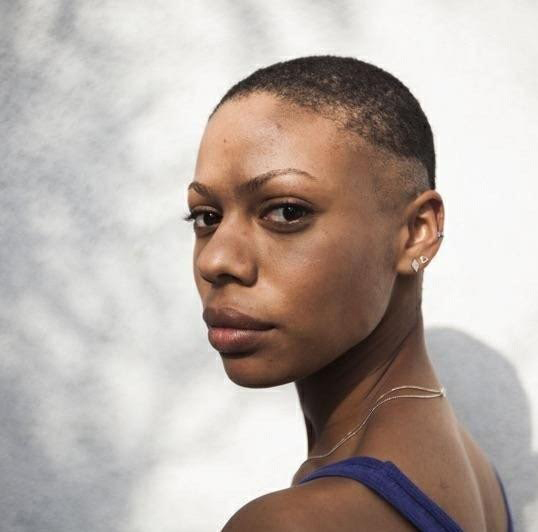 Was there ever a time when you felt uncertain about your hair? Though I love having my hair super short, that was the most difficult time. I didn’t realize how much my gender identity was attached to my hair until I cut it short. Not necessarily how do I appear feminine, but how do I make myself feel feminine? But my femininity is just within me. @jayhairbigga; she’s incredible. She has gorgeous dark skin; it's freakin amazing, and her fro is always ridiculous! If you have the audacity and the confidence to wear your hair natural and wear it huge, it’s not just a hairstyle, it’s a statement. Carol's Daughter. Hair Milk all the way! I can leave it in; it's great for my hair, and the scent is unmatched. I’ve had her products [family friend and founder, Lisa Price] in my hair since I can remember. My hair feels fed every time I use it, and I loved her Loc Butter when I had locs. If I don’t use Carol’s Daughter, I just use coconut and castor oils, and maybe some rosewater. Do you take issue with people touching your hair? I do. Don’t pat me; I’m not a dog. It seems the bigger my hair gets; the more people think they can touch it and the only people that try are white people. I was at a party, and a friend said: “Your hair is just so amazing. I wanna put my hands in it.” Caught off guard, I let her touch my hair, and then her husband came up to me and tried to do the same thing. At that point, the shock had dissipated, and I said, “Oh no, we’re not going to do that.” It became a teaching moment. What’s been the best part of your natural hair journey? I’d have to say how empowering it’s been. At every stage, I’m learning something different. It’s so incredibly different having locs than it is to have your hair really short or out in a ‘fro. Did it bolster your self-esteem? 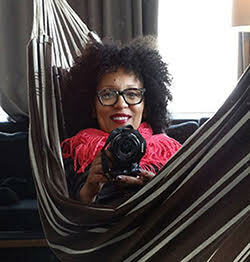 When you have a huge ‘fro, how can your self-esteem not be super bomb? It is my unicorn, superpower that just grows freely. How could I not know I’m magic with all this incredibleness that shoots out of my head and stands straight up? That’s amazing! 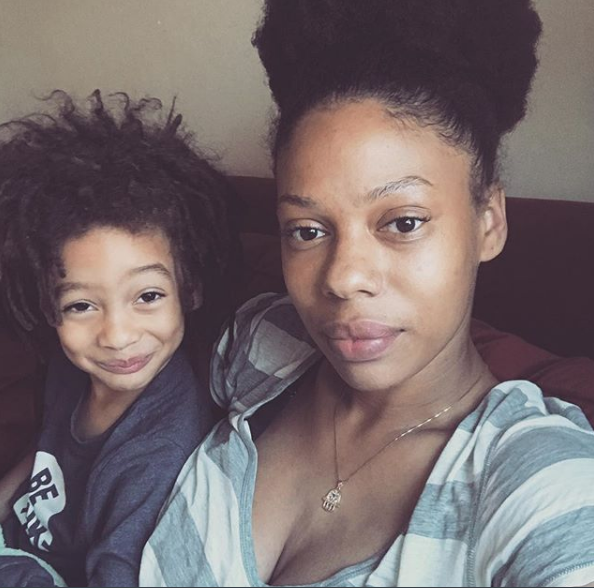 Clearly, Judah rocking his natural hair has that, and now it’s my job to make sure that the girls have it as well. Tell us about your miraculous daughters. Our girls, Echo and Nāli, are rare monoamniotic/monochorionic twins which occur one in 1000 identical twin pregnancies. They share an amniotic sac and one placenta, so the worry is that one twin will get more from the placenta than the other, and there's nothing you can do to prevent one twin from getting wrapped in the other’s cord, which is potentially detrimental. I moved into the hospital at 24 weeks and was connected to monitors that read their heartbeats 24/7 until their birth. It was so challenging after having had a home birth with Judah. There was a lot of having to assert myself, but it was good. Had my aromatherapy diffuser, set up my crystals. My girlfriends came to braid my hair; you never know what will keep you grounded and that was one of those things that did. The experience taught me how much power I have to stay elevated and keep my eyes on the prize, which was bringing home two healthy babies. Thankfully they were. They were delivered early at 34 weeks, and not tangled up at all – the doctors were amazed. While I waited for the girls to be able to come home, my sister Thandi gave me a blow-out, so I walk into the NICU after having had a C-section with this huge, blown-out Afro like "Mom’s here; what’s good?” Those hair moments are empowering. Founding Mama Makers must be empowering as well. Mama Makers Collective is my absolute passion project, my joy; total fulfillment comes full circle with the addition of Mama Makers in my life. When I had Judah, my chakras were open, and I had all that creative energy to release. I was also searching for a way to contribute to the household income. I’ve always made things, so I looked for a community of moms who were at the same stage to get some feedback and help, and I couldn’t find anyone. That’s when I realized we need this. Mama Makers Collective is about creating a community of creative mothers through curated events and markets. We are doing workshops that entice self-care. Mothers teach the classes, but all people who identify as women are welcome. I’m excited. I make sure that what I’m cooking at home is healthy, and when eating outside of the home, it's in line with things that will sustain being able to nurse two babies and run after an active five-year-old. And I have a glass of red wine every night. A nice glass of wine with your lentils and your kale? Gotta do it! Siblings can play pretty rough, but #AveenoBaby is always sensitive on skin! Our Daily Moisture Lotion’s fast-absorbing, non-greasy formula is recommended by pediatricians and moms alike. Link in bio. Follow Yhanni on instagram or visit her Mama Makers Collective website! Are you a mom? How do you stay creative?